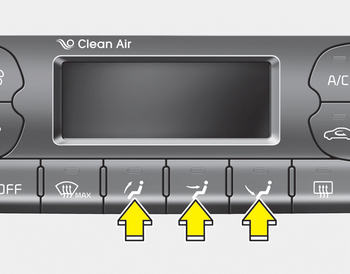 The mode selection button controls the direction of the airflow in the vehicle. If you push the button once, the corresponding switch will turn on, and if you push the button again, the switch will turn off. 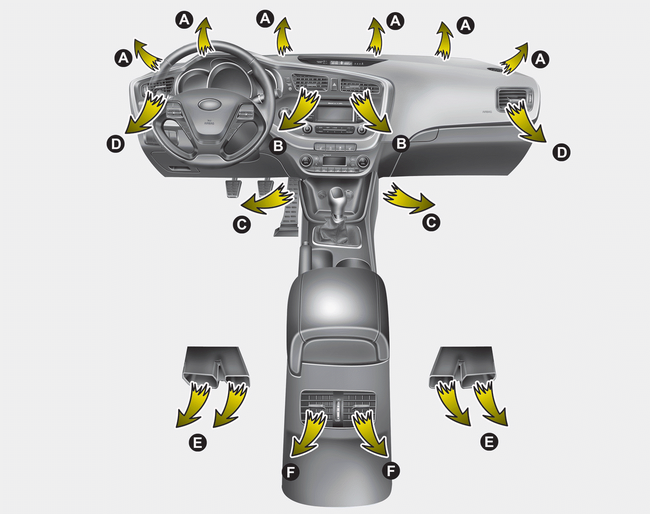 Most of the air flow is directed to the floor. 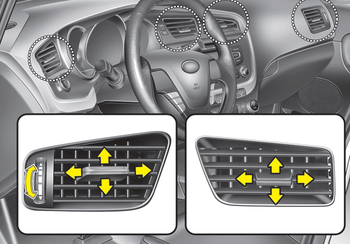 Most of the air flow is directed to the windshield. Also you may select 2~3 modes at the same time. The air conditioning system will be turn on. The outside(fresh) air position will be selected. The fan speed will set to the high speed. 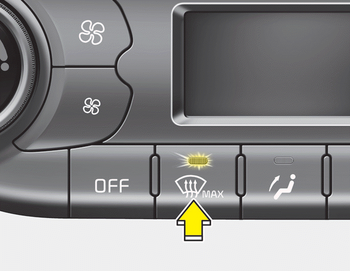 To turn the MAX defrost mode off, press the mode button or MAX defrost button again or AUTO button. 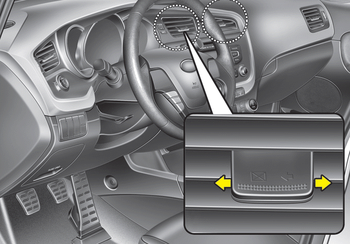 The outlet vents can be opened or closed separately using the thumbwheel or vent control lever.